Canblaster is the wild card of the Club Cheval crew. Real name Cédric Steffens, he grew up in Douai, Northern France, in the 1990s. While in elementary school, his music-loving parents sent him at the local music conservatory with his two sisters, where he learnt classical piano. He also later followed a one-year jazz course, that’ll give him, several years after, the theoretical basis to understand R&B, which is now one of his main influences. As a teenager, the young Cédric also spent loads of time playing Sega Saturn and developed a fondness for the aural aspect of video games – both the music and the sound design. Music games like Beatmania and Freqency, which afford the gamer to play virtual keyboards, show him the way to music-making. At the same period – the early noughties –, he got into mainstream, album-based electronic music classics like Daft Punk, Cassius, Chemicals, Fatboy Slim and most specially Basement Jaxx, whom he revered the ability to concentrate multiple influences in a very tight manner. One has to mention Cédric has always been an album CD fiend, burned or bought second-hand. He loves the freedom allowed by the format, and often rather listens to interludes, skits or drum-less tracks than the hits. For a long time, his ear has been much more oriented towards the car-backseat-with-headphones experience than the dance floor. In 2011 came a second EP, « Master of Complication » on the Nightshifters label, based around the concept of time. It confirms his taste for playful, sophisticated, start-stop structures – there’s a megamix thing going on there, probably coming from his gaming days but also from old eurodance cassettes he used to listen as a young kid. A few months later, he released a third EP on Marble, the label created by former Institubes mainstays Para One, Surkin and Bobmo. « Totem », as it was called, had three (very) different mixes of one same track – except you didn’t really realize the similarity if you’re not told about it. Canblaster now more than ever masterizes his tools and imagination, and his aesthetic miraculously fuses spacey nerd romanticism with architectural complexity : everything moves and goes round and round, but stands still, as a dream-carrousel for entranced kids and grown-ups. As a DJ, Canblaster mixes straight house and techno to tracks teeming micro-breaks, trompe l’œil rushes, harmonic and rhythmic paradoxes, and most definitely wants people to get down. So check out his intense and exhilarating DJ skills if he comes in your local area, and expect more and more stunning tracks from him in a near future. PTX, Vol. III is the fourth extended play album by a cappella group Pentatonix. It was released on September 23, 2014 by RCA Records, although it was released earlier in Australia on September 19, 2014. The extended play contains four covers as well as three original tracks ("On My Way Home", "See Through" and "Standing By"). In April and May 2014 during their European tour, Pentatonix began working on PTX Vol. III. Since they weren't always in one place at a time, the album was recorded at various tour locations such as Singapore, New York City and Japan. The arrangement and recording process in the album was different to those of previous albums as the songs were pre-arranged and the outline of the song was created before its details were filled in. Pentatonix, an awesome acapella group! Pentatonix is an American a cappella group of five vocalists, Scott Hoying, Kirstie Maldonado, Mitch Grassi, Avi Kaplan and Kevin Olusola, originating from Arlington, Texas. The group won the third season of The Sing-Off on NBC in 2011, singing an a cappella arrangement of "Eye of the Tiger" which was originally performed by the band Survivor as their victory song. Pentatonix won $200,000 and a recording contract with Sony. Their debut EP, PTX Vol. 1 (2012), charted at #14 on the Billboard 200 and their second release, PTX Vol. 2 (2013), debuted #10 on the Billboard 200. Pentatonix is currently preparing for their worldwide tour in 2014. Pentatonix began with three friends who grew up together: Kirstin "Kirstie" Maldonado, Mitch Grassi, and Scott Hoying at Martin High School in Arlington, Texas. Hearing of a local radio show hosting a competition to meet the cast of Glee, they arranged a trio version of "Telephone" and sent it in. Although they did not end up winning the competition, it sparked attention around their school, where the group began performing. After their version of "Telephone" gained attention on YouTube, they continued performing. But one day Hoying met Avriel "Avi" Kaplan, a highly recognized vocal bass in the a cappella community, through a mutual friend and the trio found Kevin Olusola on YouTube, as one of his videos where he was beatboxing and playing his cello at the same time went viral (called "celloboxing".) Kevin graduated from Yale, Pre-Med, and also speaks fluent Mandarin Chinese after spending a year studying in China. Pentatonix, as suggested by Scott Hoying, is named after the pentatonic scale, a musical scale or mode with five notes per octave. The group believed that the scale's five notes matched their membership. They replaced the last letter with an x to make it more appealing. The quintet derives its influences from pop, dubstep, electro, reggae and hip-hop. Phone / App based Music Streaming Service do you guys use? I personally use Rdio and like it because I have family that use it and recommended it originally. I also use Pandora sometimes .. but Rdio now has a better Radio feature overall with useful random placement meaning I will likely use Pandora less. Trent Reznor and a Streaming Service? What service do you folks use? Or what sites? 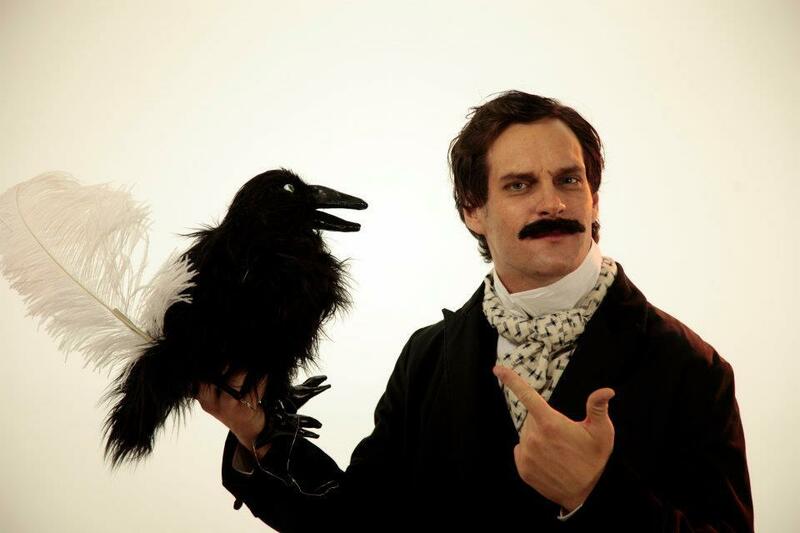 The usual sunny-blonde MC Lars has dyed his hair black in support of his latest project, The Edgar Allen Poe EP. The post-punk laptop rapper is tackling what he passionately refers to as, “Lit-Hop.” In the past he’s released several songs about Edgar Allen Poe: “Mr. Raven” (with a Brand New sample) off his free 2004 The Laptop EP and “Annabelle Lee R.I.P.” (with a Tegan and Sara sample) off the free 2011 mixtape, Indie Rocket Science. The Edgar Allen Poe EP will be released on June 27th, however you can stream the whole thing and purchase the digital version immediately on bandcamp. MegaUpload starts to prepare MegaBox Portal .. money to the musicians? 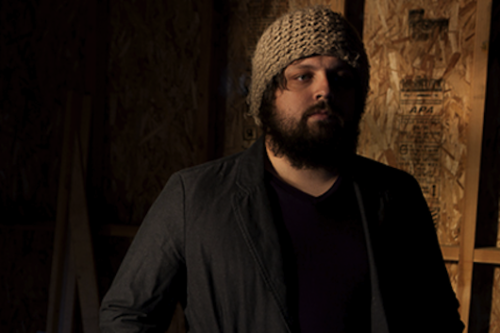 The Dear Hunter (ex-The Receiving End of Sirens) and Equal Vision records announced today that Casey Crescenzo is launching his own imprint label: Cave & Canary Goods, in conjunction with EVR. The Dear Hunter is set to begin production on a new album late summer. Equal Vision Records, baby. All my favorites. Since 2002. ****ing love it! How can one independent label be so ****ing awesome? Anyway, I went on and on about my love for this label in the most recent episode of the Neeshland Podcast. "After spending a good amount of time debating on whether to continue the Act records at this point, or take another step to the side - the most natural path seemed to be to leave all preconceptions to the side, and to write a record straight from the heart, without any filter of concept or plot." Mr. Crescezno, I’ve backed you from the moment you posted demos for this project as a The Receiving End of Sirens side project. During the “This Armistice” video shoot we chatted about how awesome your bloody dragonfly trackjacket was. EVR couldn’t be a more perfect fit. I look forward to hearing your new music, concept or not. Portugal. The Man featuring RZA - "All Your Light (Times Like These)" music video! Which breed of Insanity do you prefer? Kid Cudi & Cage - "Maniac"
Tech N9ne featuring B.o.B. & Hospin - "Am I A Psycho?" Guys, be sure to catch Neesh in Turntable.fm right now!